Thurs. 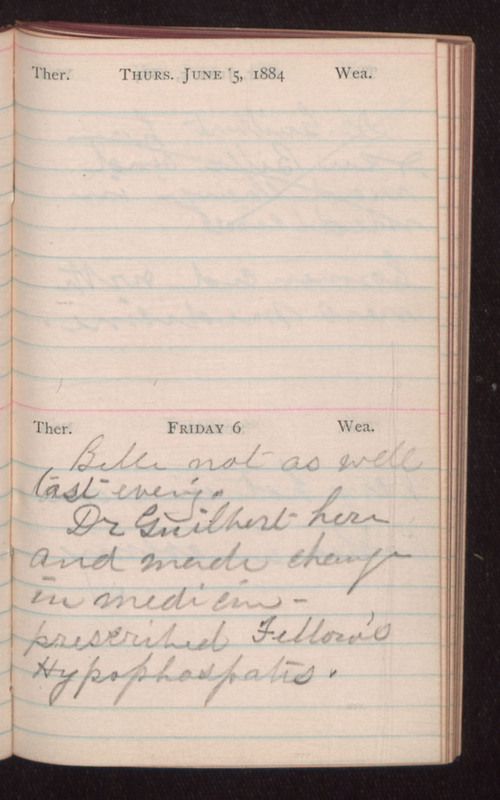 June 5, 1884 Friday 6 Belle not as well last eveing. Dr. Guilbert here and made change in medicine - prescribed Fellow's Hypophaspatis.